FAIRFAX, VA – Fairfax for All, a coalition of top immigration advocacy and membership organizations and allies, secured a partial victory as the Fairfax County Sheriff’s Office terminated its Intergovernmental Service Agreement (IGSA) with U.S. Immigration and Customs Enforcement (ICE) effective May 23. However, the Sheriff’s Office will continue to collaborate with ICE. 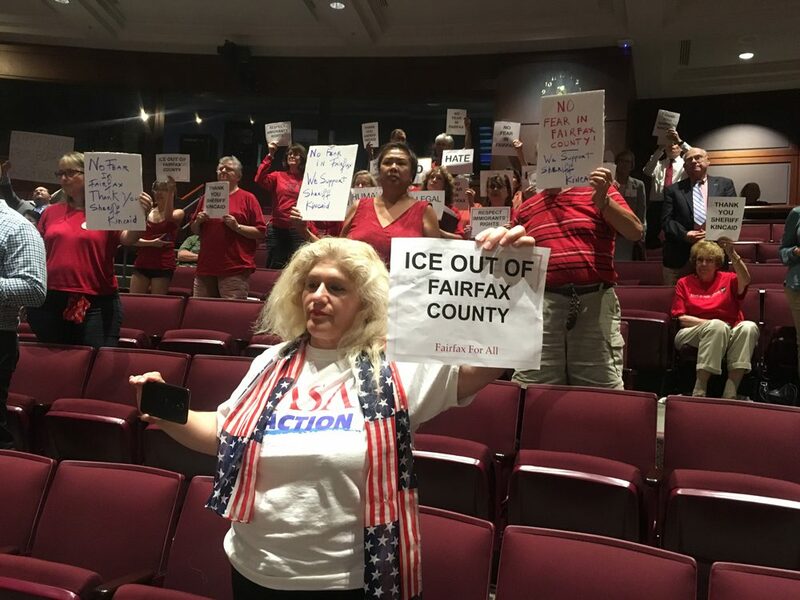 The Fairfax for All coalition will continue advocating for Fairfax County to completely end its voluntary collaboration with ICE. The coalition includes CASA, ACLU People Power Fairfax, the Immigration Issues Committee of Herndon-Reston Indivisible, La ColectiVA, DMV Sanctuary Congregation Network, NAKASEC, Tenant & Workers United, Demos, and other members of the community.